The school year is quickly approaching, and it is important to complete your teacher to-do list! We all have big plans to implement this year to make our lives easier in the classroom. You may have been asking art teacher friends, pinning on Pinterest, or searching the Internet for new ideas to change things up in your classroom. But have you found exactly what you want? 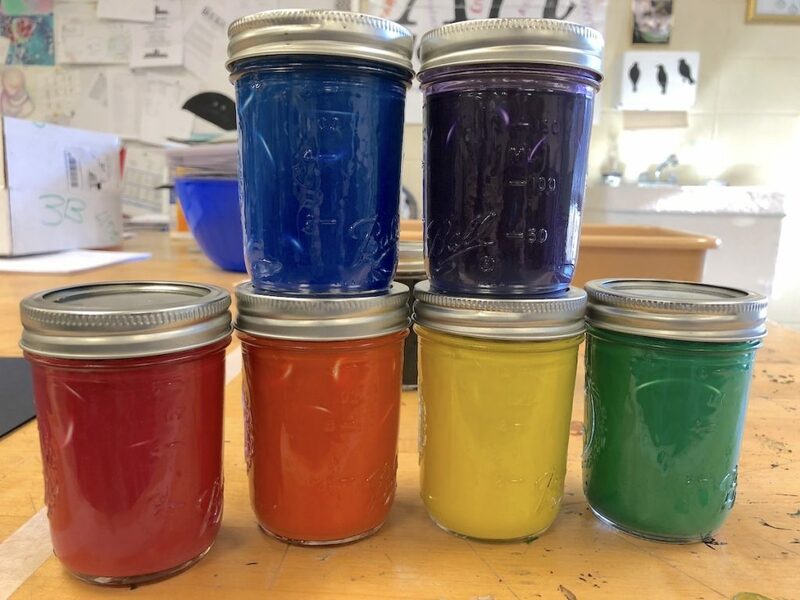 I reached out to some fellow art teachers to share some of their best art teacher hacks. This way you can find a few new ideas all in one place. Even better, many of these work for all grade levels, so there is a little something for everyone. 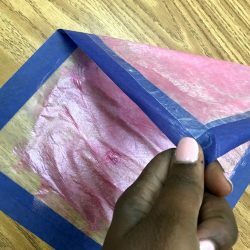 Check out this list of 8 art hacks you can use in your classroom this school year! Personally, I know weaving with yarn can be quite an undertaking in the art room. 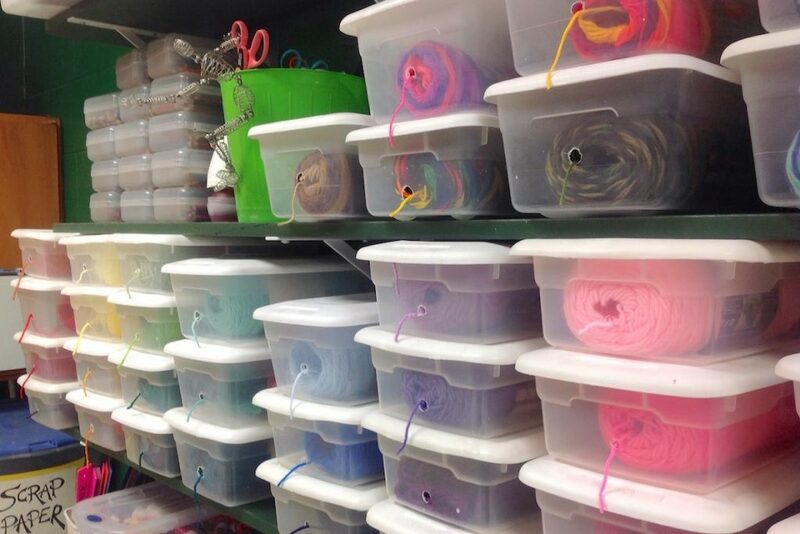 I spoke with Ted Edinger from Art with Mr. E, and he shared one of his favorite hacks when it comes to storing yarn for his students–clear plastic shoe boxes! He said the system allows his students to work independently, and more importantly, it saves his sanity! Ted has used his boxes for around fifteen years, so it’s clear they are durable. This means you don’t have to keep spending your budget or your own money to keep the system going. When it comes to watercolors, not everyone has the budget to continuously buy new sets during the school year. Kerri Waller, a middle school teacher in Marietta, GA, has an awesome hack for creating her own watercolors. 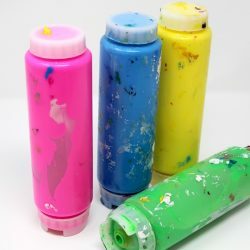 I have seen some teachers use markers in order to create their own watercolors, but I love the idea of recycling the small amounts of watercolor paint left in the pans. Have you ever heard the dreaded splash in your classroom followed by many gasps, all to turn around and see water spilled all over everything? 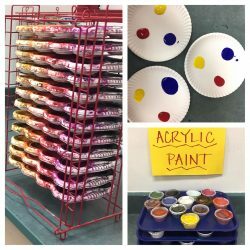 Well, Tracy Evans, an elementary art teacher in Plano, TX, has a fabulous hack that she uses in her class to help eliminate the spills. She actually uses dog bowls for her water containers. Since a dog bowl has two compartments, she places water in one and a sponge in the other. Easy peasy! The drying rack can quickly become unorganized. If you have small projects going on and a metal expanding filing system, this could be the hack for you. Storing supplies is an art in and of itself. As I ran out of counter space, I looked to my walls. I have a good amount of wall space I wanted to use for intentional resources. 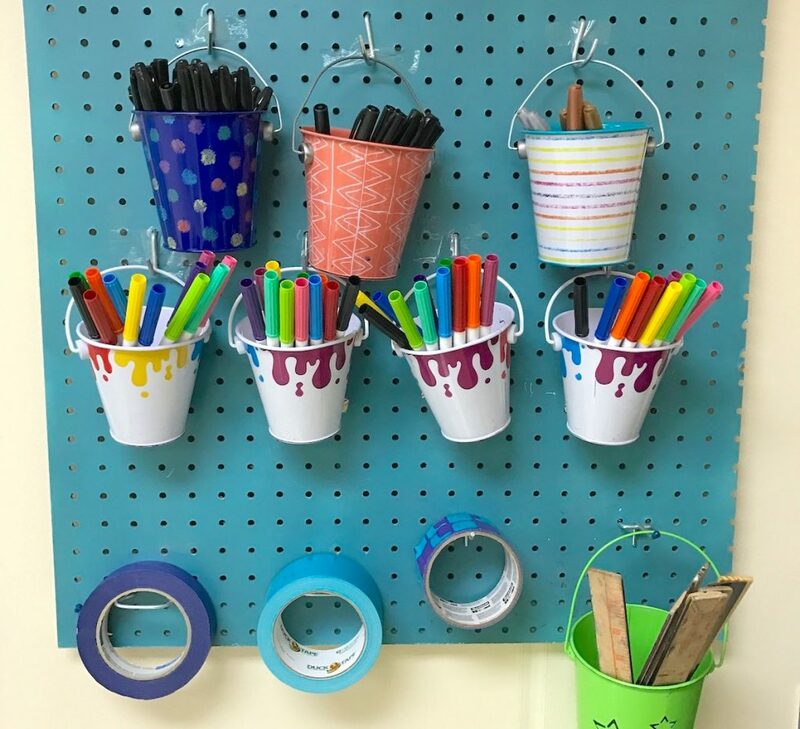 I knew I had my answer when I found this awesome Do-It-Yourself pegboard! You can find the instructions online if you’re interested! I love this hack because I now have more space for supplies and it is also visually pleasing. It gives my art room a workshop-type look that I think is great since I deem it an art studio for my students. While there are many ways to get your students’ attention, it’s never bad to have new ideas in your back pocket. 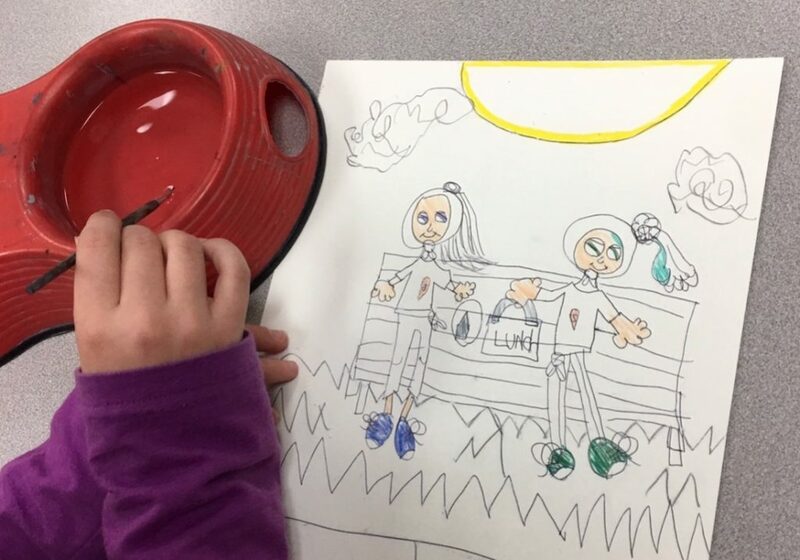 Courtney Voyles, an elementary teacher in Plano, TX, shared a fun way to get students’ attention that allows them to move and express themselves creatively. 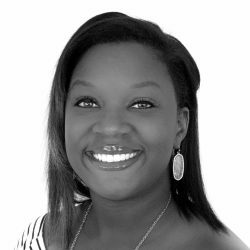 You may have heard of the call and response Mona Lisa; when the teacher says, “Mona,” and the students say, “Lisa.” Courtney puts a spin on this attention-getter I am sure you and your students will enjoy. Instead of a call and response, she says, “Show me your Mona Lisa.” At that point, all the kids have to freeze like the portrait. Once students have the basics down, Courtney starts getting creative. What a fun way to get students’ attention while allowing them to have some quick movements in the art room. If you are looking for an innovative way to add technology to your class, this is the hack for you. 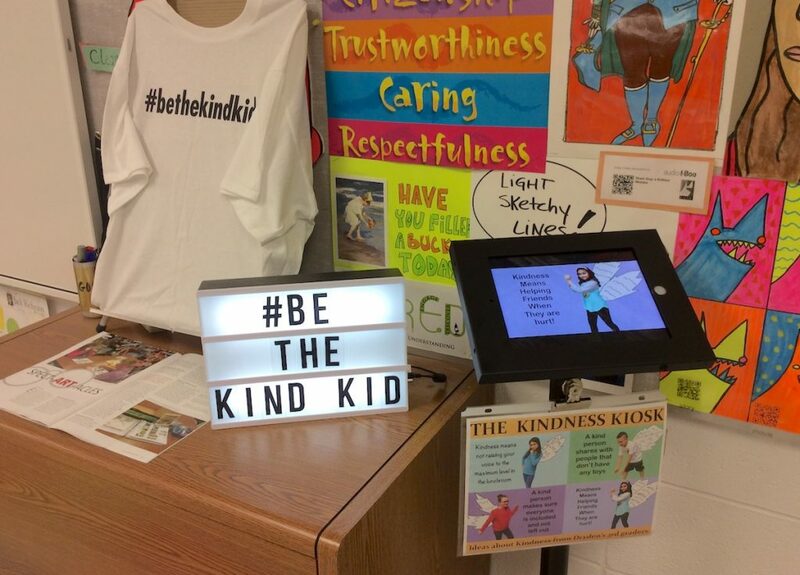 Tricia Fuglestad, an elementary teacher from Illinois who loves all things technology, had a fun idea to add a “Kindness Kiosk” in her classroom. The ideas are endless when it comes to getting one of these in your room. When it comes to funding for this equipment, think about a school fundraiser, reaching out to your PTA or sharing the benefits with your school administration to see if they would like to purchase it for you! 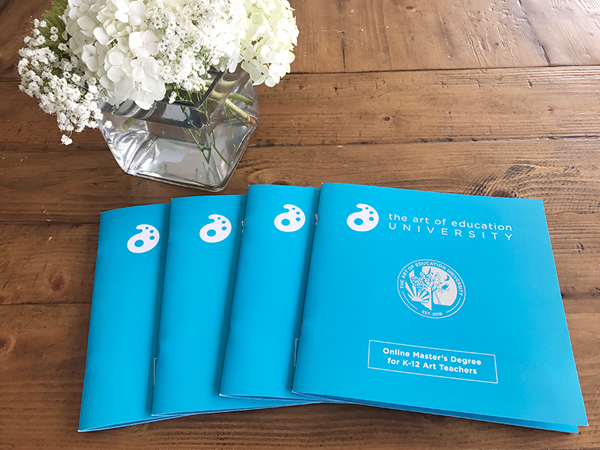 Amy Greathead, a teacher in Beloit, Wisconsin, believes embracing social media and using a variety of online platforms was one of the best things she could have done as a new art teacher. She enjoys Pinterest, Artsonia, Class Dojo, and says Instagram is her most recent media platform to explore. There are still a few more weeks left in the summer, but the first day will be here before long. Choose an idea from the list above and try it out this year! 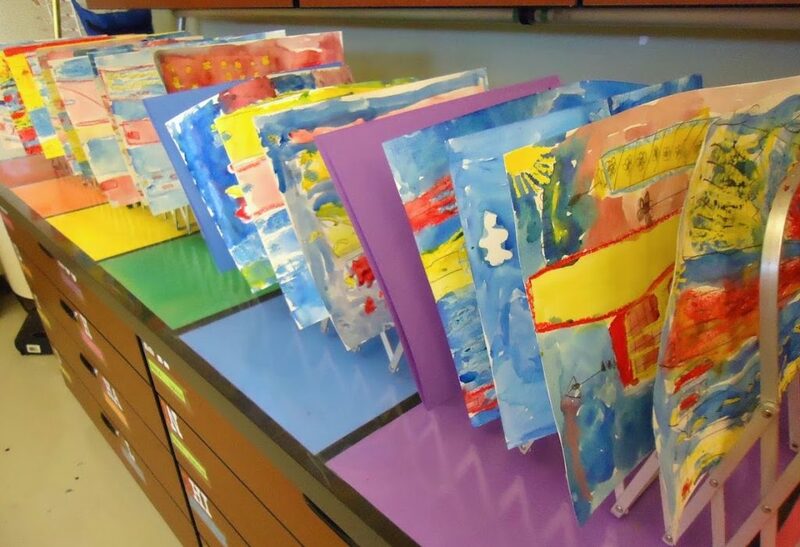 What is one of your favorite art hacks to use in your classroom? What is an area or situation in your room where you could use an art hack?